CORBA is once again honored and grateful to receive a grant from Southern California Edison. 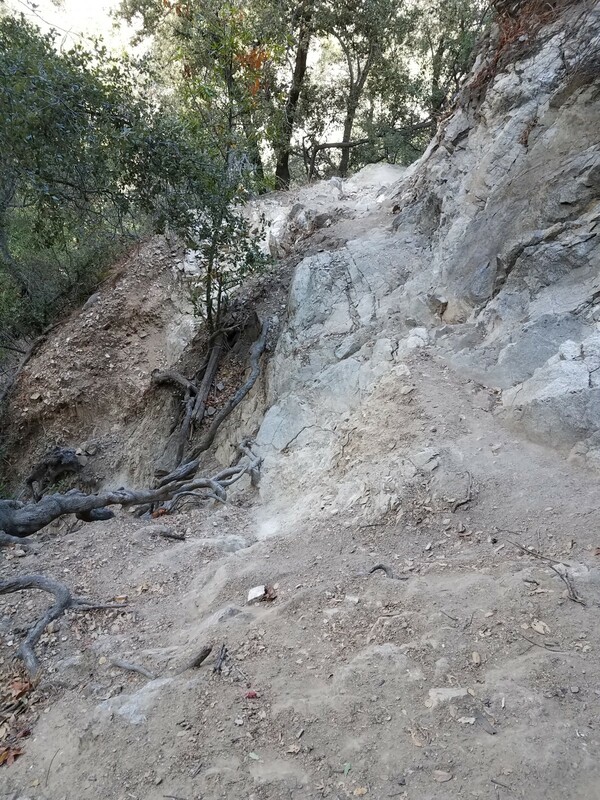 The $15,000 grant will cover restoration and resource damage along a section of the Gabrielino Trail near Sturtevant Falls. For the past three years, we’ve worked on reopening the western end of the trail and maintaining much of the rest. At Sturtevant Falls, one of the most-visited waterfalls in the San Gabriel Mountains, there has been significant resource damage from people scrambling up a steep slope to get to the top of the waterfall. 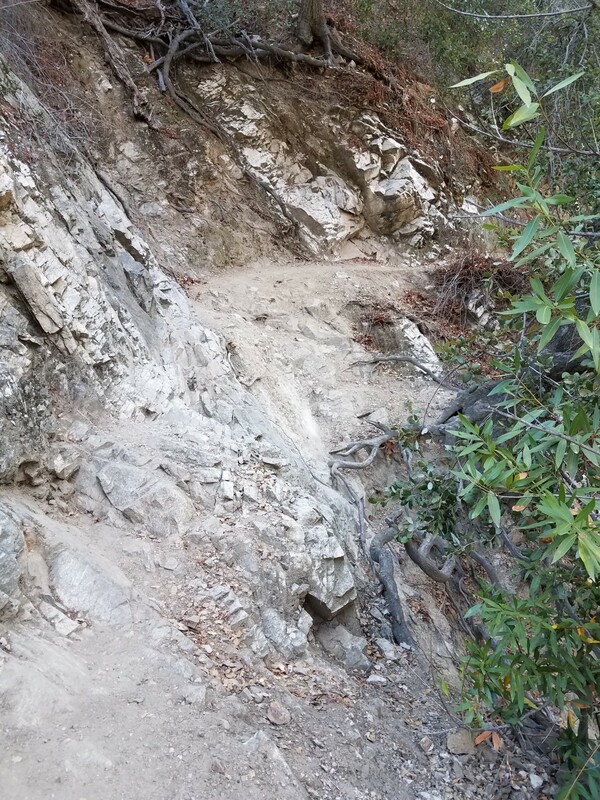 The erosion caused by that off-trail travel has caused a section of the Gabrielino trail to collapse. While not a popular section for mountain bikers, this is one of the most beautiful trails in the Angeles, following the watercourse with views of the waterfall. Today, February 27, 2019, Steve Messer, District Ranger Jamahl Butler, Recreation Officer Josh Travers and his deputy Bryce did a site visit to inspect the damage and assess our proposed solution. All are in agreement that the safety concerns and resource damage (erosion of dozens of cubic yards of dirt, and tree mortality due to root stress) would be significantly lessened by our proposal to restore the trail and rehabilitate the area. While the technical work of installing retaining walls will be handled by a contractor, volunteers can support the project by maintaining other sections of the trail, and helping support the contractor-led work when scheduled in the spring. The project is now in the midst of a required environmental review by the Forest Service. We hope to get the go-ahead and begin the project in spring/summer. Again, we are extremely grateful to Southern California Edison for their financial support of CORBA, the Angeles National Forest and this trail project. This entry was posted on Wednesday, February 27th, 2019 at 7:52 pm and is filed under Angeles National Forest, San Gabriel Mountains, Trail Crew, Trail Hazards. You can follow any responses to this entry through the RSS 2.0 feed. You can leave a response, or trackback from your own site.